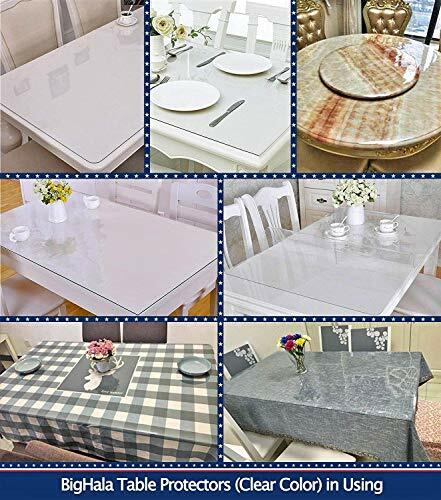 Wooden Furniture Table Protector Clear Plastic Wipeable Tablecloth Thick Desk Blotter Protective Cover Vinyl Dining Tabletop Protection Pad Easy Clean Polyester Dust Waterproof PVC Cloth 2ft 24 x 42"
Keep Beauty of Your Dining, or Accent Bench End Side Table! 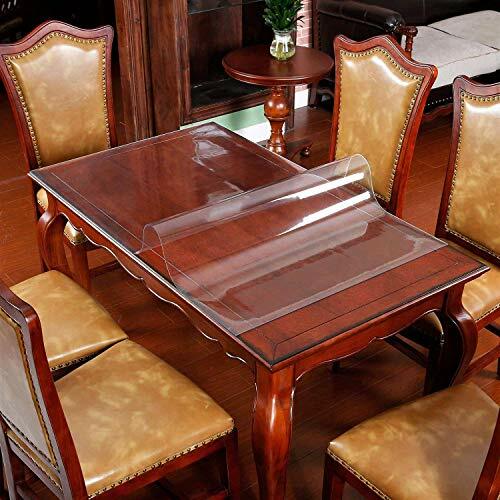 Better Protecting Your Expensive Furniture,With BigHala Table Protector Pads,Oil & Water & Dust Resistant & Wipeable Clear Vinyl Plastic Tablecloth Cover Mat! 2.REAL 1.5 mm thicken table protector,to better protect your vanity wooden,glass,granite,marble,teak wood coffee table,bedside or tea table liners,banquet buffet or bistro bar table cloths,dresser makeup,conference meeting table, night stand,TV cabinet or entryway table,craft writing desk topper,console countertop,dinner pub,kitchen countertop or cooktop,or use as office chair mat hardwood or tile floor protector mat, rug carpet cover pad, laptop or computer desktop clear cover mats, under grill mat,pet dog food bowl mat or pet seating cover mat, water proof garage floor mat, etc,. from high temperature damaging,scratch,hot dish heating burns. Wipeable and easy to clean.Protect them and show its original beauty! 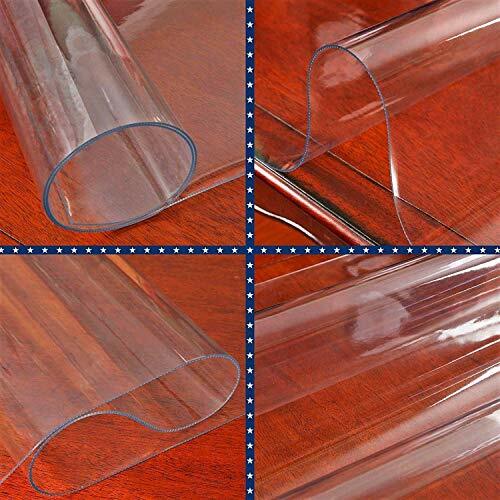 3.Put pictures under the clear dinning room tabletop protector,enjoy work & life! Tips to Make Flat in Cold Days?